49 year old professional racing driver Neil Cunningham who doubled for James Bond in the opening scenes of Quantum of Solace and later performed hair raising stunts as The Stig on BBC Top Gear has raised over £160,000 in charitable donations within four months. The money will be forwarded to Kings Hospital, London to help Professor Chris Shaw for his research into MND. Neil who developed MND in late 2010 felt that by publicising his condition he could bring more public awareness to the dedicated team who are working around the clock to find a cure for this debilitating and deadly disease. 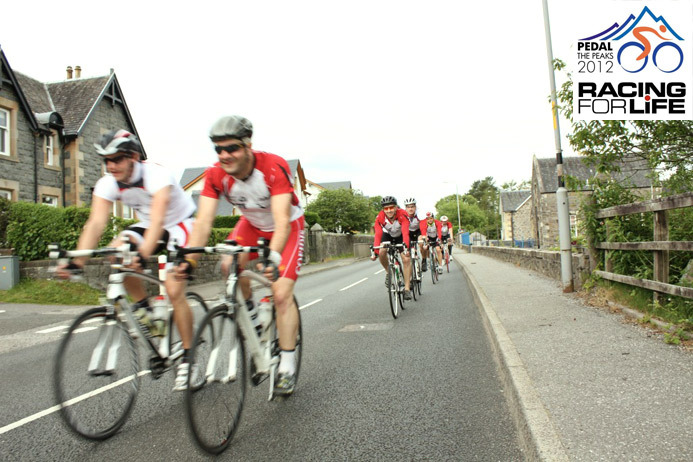 In June 2012 a team of six cyclists completed an epic endurance bicycle ride across the UK, also climbing the summit of the three highest peaks in England, Scotland & Wales all within 3 days despite appalling weather conditions, raising £15,795. The six heroic riders were Adam Bere, Ben Williams, Iain Burgess-James, Rob Westcott, Richard Garner & Dan Kerley. “Ragus was the first sponsor which really gave the whole campaign some life. They then persuaded Scheckter’s Organic to supply the energy drinks to keep the riders nutritionally hydrated and if that wasn’t enough our logo ‘Racing For Life’ got exposure on the race winning BMW in the British GT Championship. Thanks Ragus, I can’t thank you guys enough”.